Since it was founded in 1983, Snappy Snaps has become one of the leading UK retail franchises, and in 2013 became part of The Timpson Group. Snappy Snaps has changed and evolved considerably since its initial launch. Although it started primarily as a photographic processing lab, a service still offered to this day, the franchise has built its operation to include a whole host of retail services including commercial, interior andpersonalised printing, catering for snap shooters, amateur and professional photographers and the commercial world. The numerous awards and accolades received from various consumer and trade titles such as the "Best Multiple Mini Lab Chain" award from Pixel Magazine and a host of awards from "Amateur Photographers", are testament to the success of Snappy Snaps. Professional endorsement of the brand has had a hugely positive effect on the company and its reputation. The retail and photographic world is fast paced and ever changing, and, as a result, very exciting. Snappy Snaps stays one step ahead of its competition by carrying out extensive research into its market place and personalised art trends. Each store offers a diverse range of unique and personalised products and services in a professional and friendly environment. Ordering personalised products has never been easier at Snappy Snaps as customers can relax in comfortable surroundings, select the images you wish to print with the knowledge that the specialist colleagues are on hand, should you need help from them. Each store has retail stock that is personally selected to reflect the market place and customer base within that community. Each store offers a Click & Collect same day pick up so you can conveniently order from your phone, tablet or computer and collect in your local store the same day. Running a retail store and online business is not for everyone. Equally, we are selective in who joins the group as we have a strong reputation to uphold. Ideally, you will be able to demonstrate a successful employment history, and have the drive and ambition needed to be a business owner. Our selection process is rigorous and we look for specific key qualities. A personality that will be a fantastic brand ambassador. Your role will be extremely varied, and will require you to have a hands on approach to running your business as well as the drive and enthusiasm needed to succeed. You will be leading your team in store, as well as making critical business decisions. It is vital that you gain respect in your local area and we encourage franchisees to be active in the local community. We will guide you on the best activities to help you achieve this, such as school programs and local events, which will help raise your profile and earn you, respect within your business. "SNAPPY SNAPS OFFERS YOU THE OPPORTUNITY TO OPERATE YOUR OWN DYNAMIC BUSINESS IN THE EXCITING PHOTO IMAGING MARKET. THE POTENTIAL REWARDS ARE EXCELLENT BUT THEY WON'T BE ACHIEVED OVERNIGHT OR WITHOUT A MAJOR EFFORT ON BOTH YOUR PART AND OURS." Our finance team will prepare a full projected Profit & Loss account and a projected cash flow for your specific site (encompassing specific rents etc.) once a location has been selected. These figures together with our research summary for the location will then be used to present your business proposition to one of the major clearing banks; a number of which have experience of Snappy Snaps stores on which to base their risk decision. We would expect our new stores to be able to achieve minimum net sales of £200,000 per annum within a reasonable period. This will obviously be dependent on the site and the local trading environment. *The net expenses figure includes all expenses associated with operating a Snappy Snaps store including labour, rent and rates, other expenses, the 6% on-going franchisee fee and the 2% marketing contribution. Store profitability is sometimes known as EBITDA (earnings before interest, depreciation and amortization). NB These figures represent estimates only and future projections can never be guarantees of actual performance. The initial VAT (which is fully recoverable) can be financed by short-term overdraft if required. These figures provide you with a guide as to the start-up costs for a Snappy Snaps store. There will be some variances with the above depending upon the location and size of your Snappy Snaps store and the point during the year that completion takes place. Developing a successful franchise network has neither been quick or easy. It has taken many years of continuous research, planning and hard work for Snappy Snaps to achieve the level of success that our franchisees now enjoy and benefit from. 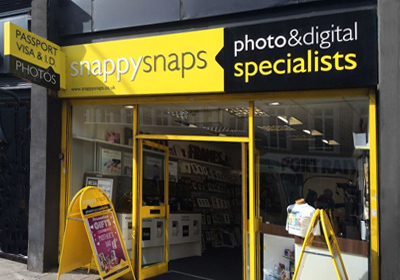 The first Snappy Snaps one hour photo store opened in 1983. A further three trial stores were added during the following three years and following the incredible success of these stores, the first franchisee Snappy Snaps opened for business in 1987. Bhupen Lodhia and his brother Vinod still own that first franchise store and have since added additional branches to their business portfolio, and they are talking to us about more! And so are we. Every year we continue to grow by adding more new stores and also by building the businesses of existing franchisees. Snappy Snaps is firmly established as one of the countries leading retail franchises. Our success is based upon a blend of opportunity and careful planning. We will provide you with opportunity and also help and advise you on how to build your own business and plan your own success story. The Financial Times has reported that 92% of all new business fail within their first 5 years except in established franchises where conversely the success rate is 90%. By joining our franchise you will start with so many advantages and much less risk. "THE KEY TO OUR SUCCESS HAS BEEN OUR DESIRE TO GO FURTHER FOR OUR CUSTOMERS. 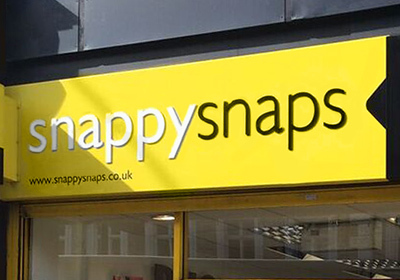 WE ARE CONFIDENT THAT SNAPPY SNAPS WILL CONTINUE TO BE THE BEST ON THE HIGH STREET, CONSTANTLY STRIVING TO IMPROVE AND EXPAND THE SERVICES AVAILABLE. ALL OF THIS SUPPORTED BY OUR EXPERTISE IN PHOTOGRAPHY AND THE ENTHUSIASM SHARED BY OUR FRANCHISEES. SNAPPY SNAPS IS MOVING PHOTOGRAPHY AND IMAGING INTO A WHOLE NEW ARENA." 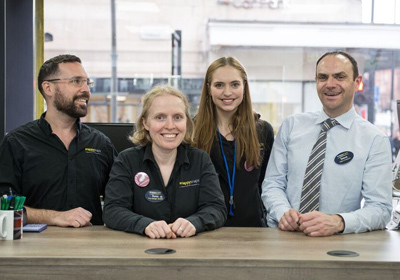 As a franchisee our training support is on going throughout your business relationship with the brand, establishing a strong partnership between you the area support team and colleagues at Timpson House. You will be constantly stimulated and learn new skills. This starts on your first day as our training, operations and area teams support and guide you through all the stages of opening and running a new and successful business. Covering the day to day procedures and systems practical hands on experience. There is more to running your own Snappy Snaps than learning to print photos much more. You will have a remarkable aptitude for connecting and communicating with people; however, you need to be 100% committed to your Snappy Snaps store. We offer only franchises to individuals who are intending to run a business on a day-to-day basis not just as a sideline. Some franchisees run their businesses as husband-and-wife or family teams, which is also a successful formula. 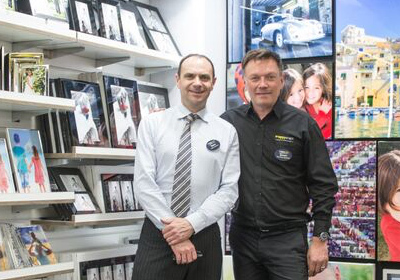 Snappy Snaps offer you the opportunity to operate your own dynamic retail business in the exciting photographic market. The potential rewards are good but they won't be achieved overnight or without a major effort on both your part and ours. We are prepared to do whatever it takes - are you? Many of our franchisees earn in excess of £50,000 and several over £100,000 per annum. Their hard work and willingness to be part of an established network has paid off for them. They now enjoy a lifestyle that many other people will never achieve. As well as needing the right attitude and aptitude you also need to have capital to invest. The additional finance, which is required, will be provided by the banks that share our confidence in the future for Snappy Snaps; a confidence based on our long track record of success to date. If you would like to become part of the Snappy Snaps success story, start by downloading and completing the application today, and returning it to April Rowley april.rowley@snappysnaps.co.uk once completed. Thank you for taking the time to read about Snappy Snaps. We are very proud to be a part of this business and hope that you have found this information useful and interesting. We look forward to meeting you.